(KPAX) While the 2020 election is a long way off, Republicans and Democrats alike in Montana are already prepping for what could be a game-changing event: Republican Congressman Greg Gianforte running for governor. Gianforte, who lost the 2016 gubernatorial race to Democratic Gov. Steve Bullock, is seriously considering making another run for the office in 2020 when it becomes an open seat, sources have told MTN News. If the Bozeman high-tech entrepreneur makes that leap, he’ll scramble the political landscape for most statewide offices, in more ways than one. For starters, Montana’s U.S. House seat would become an open seat for the second time since 2017. Democrats would have another shot at winning it for the first time in 26 years and prominent Republicans are eyeing the race as well. 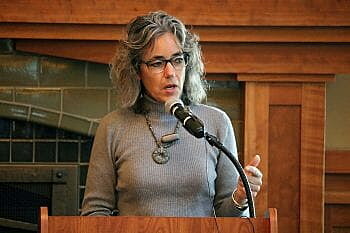 Democrat Kathleen Williams, who lost the U.S. House contest against Gianforte last year by five percentage points, told MTN News she’s been exploring a possible run in 2020 for a statewide office and will be announcing her plans early next month. Sources say they expect Williams to run again for the U.S. House. Republican state Auditor Matt Rosendale, who lost his 2018 U.S. Senate race against Democratic Sen. Jon Tester, is expected to consider running for the House seat if Gianforte goes for governor. Rosendale ran for the House seat in 2014 but didn’t make it through a crowded Republican primary. If Rosendale runs for the U.S. House, his seat then becomes open — making five statewide offices up for election in 2020 open seats. Republicans currently hold four of those seats. Two other prominent Republican officeholders have already said they’re running for governor in 2020: Attorney General Tim Fox, who can’t run for re-election because of term limits, and Secretary of State Corey Stapleton, who could run for re-election if he chose. And, yet another Republican told MTN News he is running for governor: State Sen. Al Olszewski of Kalispell, who ran last year for the U.S. Senate but lost in the primary election to Rosendale. The prospect of Gianforte running for governor also has Montana Democrats thinking positive thoughts about the 2020 election. Parker told MTN News that Gianforte’s move could be good news for Democrats because it creates more open seats and he could be a more polarizing figure in the governor’s race than a more moderate Republican like Fox. But Democrats have their own challenges, he added. So far, a Democratic candidate for the open governor’s seat has yet to surface. Lt. Gov. Mike Cooney said he’s considering it but has made no decision. Billings attorney John Heenan, who lost a narrow race to Williams in the U.S. House Democratic primary last June, also may consider the governor’s race, if Gianforte gets in. Candidates also are entering or considering some of the other statewide offices on the ballot in 2020. Senate President Scott Sales, a Republican from Bozeman, said this week he plans to run for secretary of state, assuming that Stapleton is not. Democratic state Sen. Bryce Bennett of Missoula also is considering this race. In the 2020 race for the open seat of attorney general, two people are already in: Democratic Rep. Kim Dudik of Missoula and Republican Jon Bennion, who is chief deputy attorney general under Fox. Several other Democrats and Republicans are looking at this race, too. Democratic House Minority Leader Casey Schreiner of Great Falls and Democrat Jesse Laslovich, a Helena attorney who lost to Rosendale in the 2016 auditor’s race, are kicking the tires for a 2020 run, but haven’t decided which race or whether to do it. 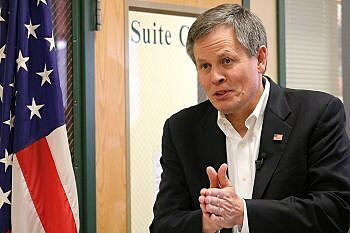 But Democrats remain without a clear candidate to take on the top Republican officeholder in the state: U.S. Sen. Steve Daines, who’s up for re-election in 2020. Bullock, the obvious choice, has said he’s not interested, and instead has been considering a possible run for president. The only other Democrat who told MTN News that he’s considering the race is Helena Mayor Wilmot Collins, a Liberian refugee whose election as mayor last year garnered some national attention. Another big unknown factor for Democrats — and Republicans — for the 2020 election in Montana is the Democratic nominee for president. Lindeen said having Hillary Clinton on the top of the 2016 ticket hurt Montana Democrats, as Donald Trump won the state by 20 points and helped carry other Republicans along with him. Republicans won all statewide seats on the ballot that year except governor. Trump remains relatively popular in Montana, with approval ratings slightly above 50 percent, but may not be as much of a positive force as he was in 2016, Parker said.